On Tuesday July 30 and Wednesday July 31, 2013, BAC degree students, Landscape Institute students, staff, and faculty joined various community members and the Ecological Landscaping Association to install improvements to a South End Community Garden at 29 Dartmouth Street. 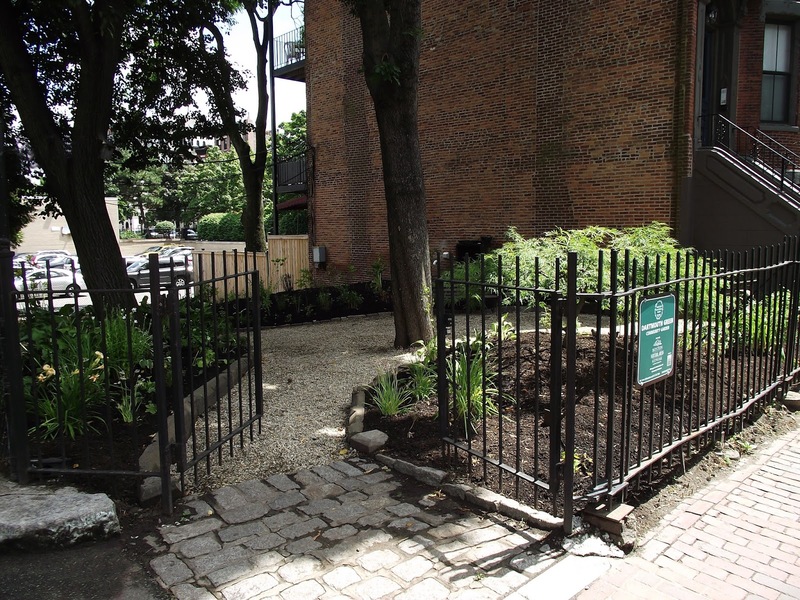 The two-day service project included placing reclaimed stone lintels and cobble edging, installing a stone path, constructing raised vegetable beds, and planting and mulching the woodland garden. Click here to see photos of the project and read an article, written by Heather Heimarck, Director of the Landscape Institute.